The writer wanted a love story…the Muse wanted much more. Guest Review: Is Your Brand Interfering with Your Writing? 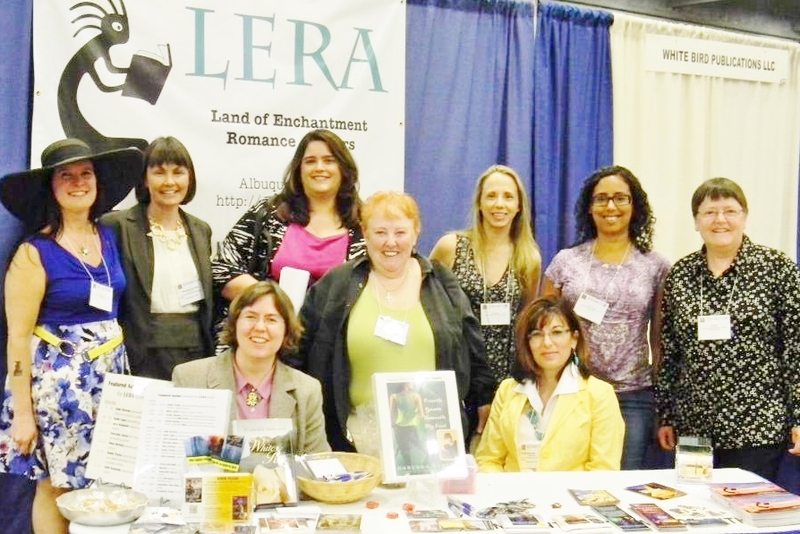 Jeffe Kennedy (Lovely LERA lady in large hat) is one of my LERA sisters, an excellent writer, and a pretty savvy business woman. She’s also a way better blogger! Her recent post gut-punched me, necessitating a re-read. The denouement revealed part of a stealth software program that has– surprisingly– been running in the background of my Curious-Mind. When I digested the gist of her idea, I understood a nebulous quandary that’s been an irritating itch for me. Horns of a dilemma, one might say. Please take a few minutes to check the excerpt and then go read the whole piece. I’d really be interested in any thoughts you have about this subject or if anyone else has experienced this phenomenon. “…At any rate, I can see what she’s going for – a very clear style – even if it doesn’t do much for me. I do wonder, however, if she’s sacrificing a heartfelt artistic effort for the sake of this style. This brand. We writers hear about brand all the time these days. We’re in a peculiar position in that we, ourselves, are our brand. Just as we glommed onto authors, reading everything from an author on the library shelf, readers follow US, not necessarily our publishers or our genres. What we write arises out of us, but we our the physical embodiment of it because, even with print books, story remains intangible. It can be kind of a funky thing – especially when being sane about the business requires separating ourselves from our work. But, for the purposes of branding, well meaning and helpful marketing types are forever reminding me that *I* am my brand. My brand is me. I’m pretty much just a walking, talking advertisement for All Things Jeffe. I’m picturing something like that old movie poster for the Attack of the 50 Foot Woman. See how creepy this gets? It struck me the other day, because I saw a youngish writer tweeting about writing tips. She said something along the lines of that, when she gets stuck writing, she thinks of her brand and what her readers would expect from her. I can see how this is smart marketing, but it bothered me. It took me a few days to pin down why. Next time…The Contest/Giveaway Returns …with PRIZES!! Interesting. I’ve been in multiple areas of marketing for 38 years now and understand branding as a product line but I’ve never heard it applied to writers and, although I understand it, I’m not certain I agree with the concept. Too often the meanings of words are changed to appear trendy. In this case, I don’t think it’s justified. We aren’t cows or soup cans. We are artists. We work long and hard for very little to earn that distinction. We deserve the audience we attract. To me, a writer has an audience. She speaks a certain stylized language with a particular cadence en route to expectation. It is to those readers who share her voice and perspective that she appeals most. As for writing to an audience and delivering what they love from you — I would caution you to remember how long it took for you to find each other. Changing direction because you find a new voice is like filing for a divorce. You better be certain your new love has something better to offer over what the old love has delivered. When You’re On The Go . . .